Mezzo-Soprano Anna Yelizarova was born in Moscow, Russia, where she began her musical studies at an early age. 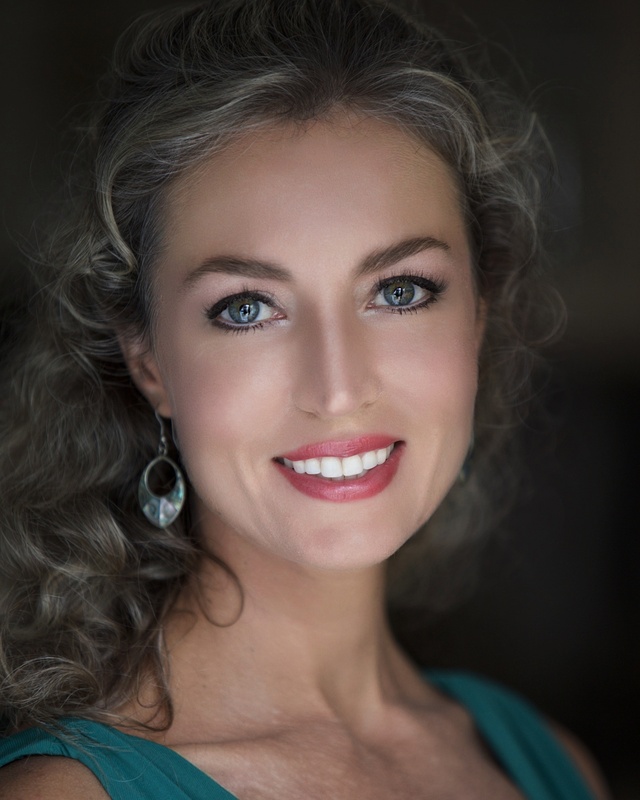 Ms. Yelizarova has performed over twenty-five roles throughout the United States and internationally including the title role in Carmen, Angelina and Tisbe in La Cenerentola, Dorabella in Così fan tutte, Dido in Dido and Aeneas, Prince Orlofsky in Die Fledermaus, Azucena in Il Trovatore, Olga and Madame Larina in Eugene Onegin, Marina and Fyodor in Boris Godunov, Maddalena in Rigoletto, Marcellina in Le Nozze di Figaro, Ulrica in Un ballo in maschera, Siebel in Faust, La Zia Principessa in Suor Angelica, Smeton in Anna Bolena, Dritte Dame in Die Zauberflöte, Flora in La Traviata, the Mother in Amahl and the Night Visitors and Hänsel und Gretel, Suzuki in Madama Butterfly, and Annio in La clemenza di Tito. Ms. Yelizarova has appeared with such companies as Opera San Jose, West Bay Opera, Dicapo Opera Theatre, Opera in the Heights, Livermore Valley Opera, One World Symphony, New Opera NYC, Opera Bel Cantanti, dell'Arte Opera Ensemble, Center City Opera, Opera Company of Brooklyn, Opera Manhattan, Long Island Opera, New York Lyric Opera Theater, Queens Opera, Intermezzo Opera Festival, Martina Arroyo Foundation, Golden Gate Opera, and Lamplighters Music Theatre among others. Comfortable as well on the concert stage, Ms. Yelizarova has been a soloist in numerous concerts including operatic highlights concerts with the Gateway Classical Music Society Orchestra, opera scenes at Carnegie Hall with Pacific Encore Opera, the role of Clarice in the oratorio Il giuoco del Quadriglio by Caldara, and the mezzo solo in Pergolesi's Stabat Mater on a concert tour in Hungary. Anna Yelizarova was a guest artist at the Midsummer Mozart Festival, conducted by Maestro George Cleve, and at the Natchez Opera Festival. She was also a finalist in the 2009 Opera at Florham Violetta DuPont Vocal Competition. Ms. Yelizarova holds undergraduate and graduate degrees in voice from the Manhattan School of Music and New Jersey City University. In Russia, she received a Bachelor's Degree in Conducting from the A. Schnittke Moscow State Institute of Music. Ms. Yelizarova resides in the San Francisco Bay Area.